In our last blog on Respiratory diseases in neonates and Role of Clinical Rules in iNICU, we mentioned about various neonatal diseases of NICU, which leads to high infant mortality rate in India (1). Diseases like Respiratory distress, Intra- Ventricular Hemorrhage, Neonatal Jaundice, Sepsis etc. are few common neonatal diseases which may result in life- threatening situations if not captured and treated timely. When a baby acquires any such conditions, the challenges for clinical staff are critical. It is the responsibility of the health care providers to safeguard the deteriorating health of the neonate. At the same time data captured from multiple sources such as clinical, devices and observational parameters should be maintained. 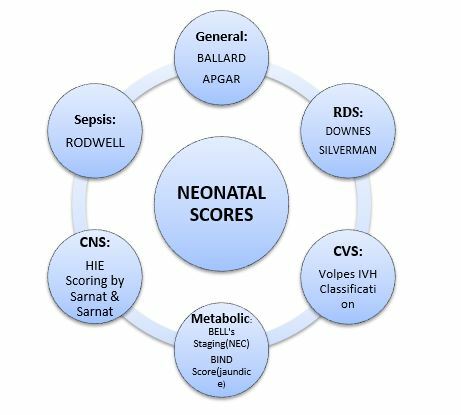 Neonatal Scores are used to quantify the morbidity of the neonates, by estimating the probability of the specific outcome of the infant. Scoring systems built by using weighted demographic, physiological, and clinical data and have been majorly accepted across the globe. 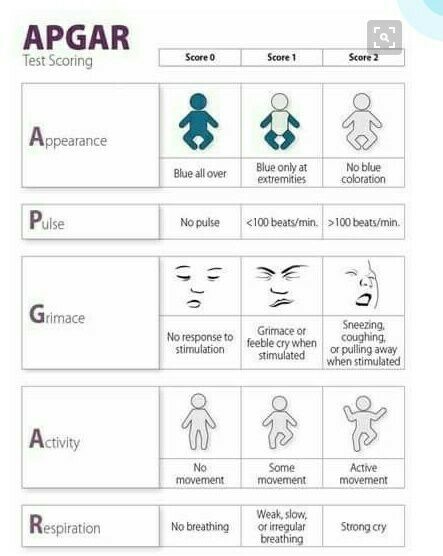 These predefined Neonatal Scores help NICU staff to check the criticality of the baby’s health conditions at various levels. For example, APGAR and BALLARD score are used immediately after birth to check physical and Neuro- muscular activities, whereas some disease-specific scores used in NICU like Downes and Silverman-Anderson scores for RDS, and many others. Physical score based on anatomical changes. Neurological score relies on muscle tone. Test is generally done at 1 min and 5 min after birth, and may be repeated after the interval of 5 min if score remains low. Results: 7 and above (NORMAL), 4-6 (LOW), 3 and below (CRITICALLY LOW)(3). Downes score and Silverman Anderson (SAS) are two important clinical scores to assess the severity of respiratory distress. SAS score is ideal for preterm infants and Downes score for term infants. Downes Score : There are 5 criterion: Respiratory Rate, Retractions, Cyanosis, Air entry, Grunting. Each of these is rated on a scale of 0, 1, 2. The total score is then evaluated. Silverman Anderson Score: 5 Clinical Parameters for Silverman Score: Upper Chest, Lower Chest, Xiphoid Retractions, Nares Dilation, Expiratory Grunting. IVH is the neonatal intracranial hemorrhage common in pre- term infants ≤ 32 weeks of gestation. Volpes classification used to categorize the condition based on its severity. Classification is based on ultra sound images. Sarnat scoring is a system used to grade the severity of an HIE injury. Sarnat scoring system combines clinical and EEG findings. Neonates are easily prone to bacterial infections. Diagnosis of neonatal sepsis is difficult as early signs are subtle and different at different gestational age. Timely diagnosis of neonatal sepsis is critical as illness is rapidly progressive and in some cases fatal. Infant Pain Profile is based on observational and clinical parameters. Observational Parameters : Behavioral State (Activity, Eye open, facial movement), Brow Bulge, Eye Squeeze, Nasolabial furrow. In preterm infants, Necrotizing Enterocolitis is the common and serious acquired gastrointestinal tract disease. 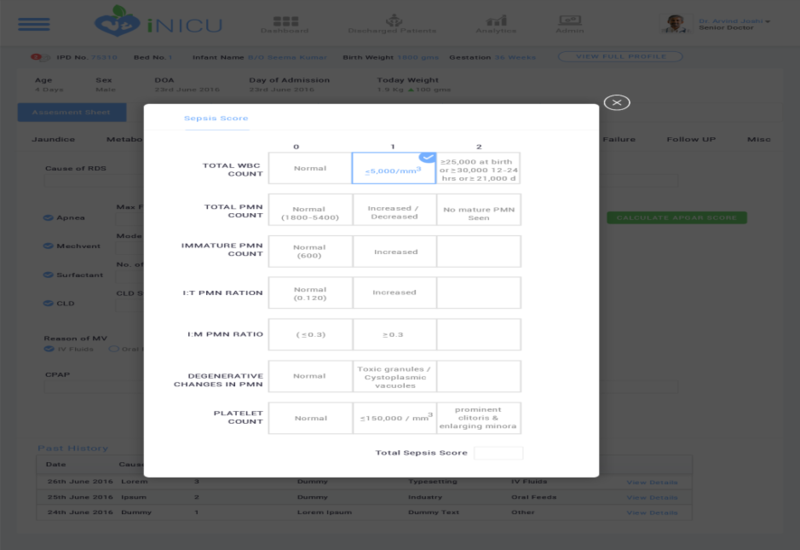 To help the neonatologists and team we created a platform (iNICU) with a vision to increase clinical care time in NICU, prevent hospital induced infections, promote digitization by capturing live data and predict future complications of above- mentioned diseases. To predict problems, we need to distinguish variability in outcome, related to the diagnostic and\or therapeutic intervention. 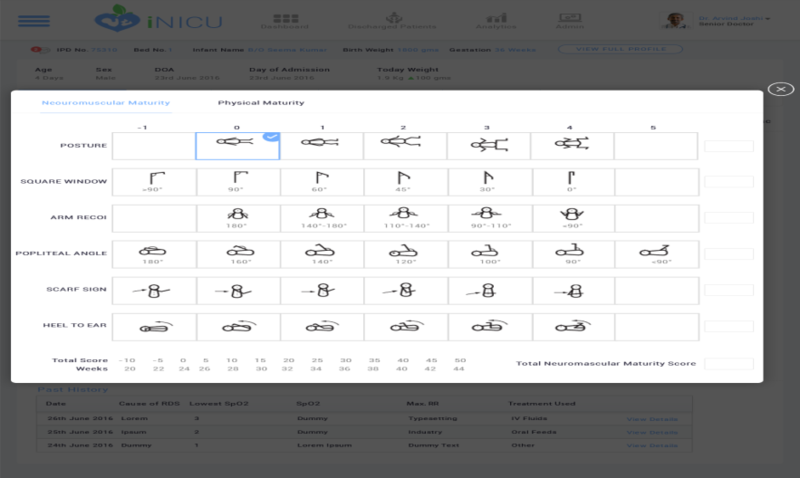 We introduced clinical severity scores (CSS) to iNICU which identify and classify neonates with similar clinical conditions of comparable severity and equivalent expected prognosis. 2. Ballard JL, Novak KK, Driver M (November 1979). "A simplified score for assessment of fetal maturation of newly born infants". J. Pediatr. 95 (5 Pt 1): 769–74. 7. Bell MJ, Ternberg JL, Feigin RD, et al: Neonatal necrotizing enterocolitis: Therapeutic decisions based upon clinical staging. Ann Surg 1978; 187:1-7.